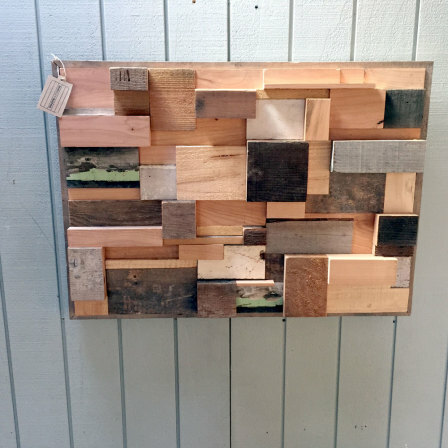 View Cart "Stagged Wood Wall Hanging" was successfully added to your cart. 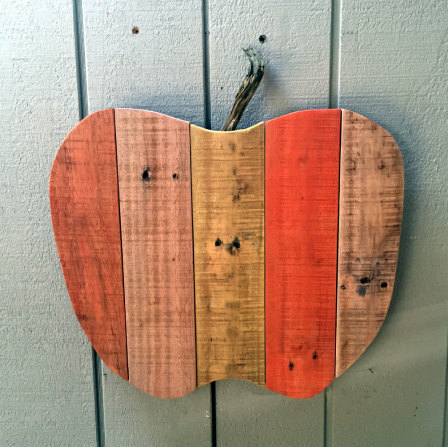 Cute apple made from rustic reclaimed pallets. 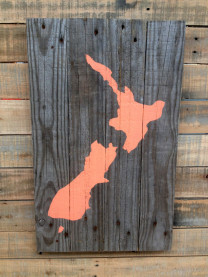 Has a great weathered look to it and would look amazing in yor kithchen or dining room. Ready to hang with rope attached to back. 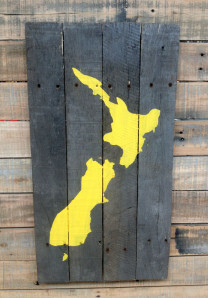 Dimensions: Width 400mm, Height 350mm. 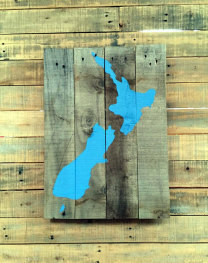 Map of NZ printed on to lighter and thinner reclaimed timber! 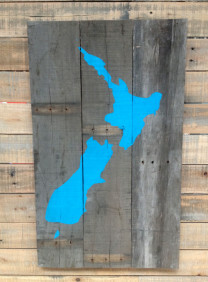 Has a great silvered weathered look to it, with beautiful beachy blue colours. Complete with string attached to back for ease of hanging on any picture hook. 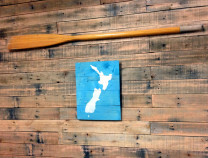 Beautifully crafted piece of art ready to display in your home, with string attached to the back. 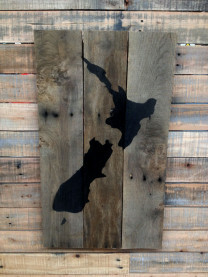 Made from reclaimed timber. Dimensions: Height 595mm. Width 430mm. 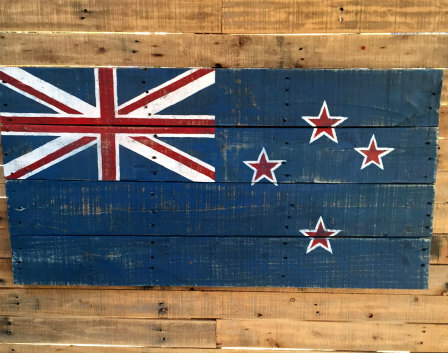 New Zealand flag rustically painted on vintage timber. 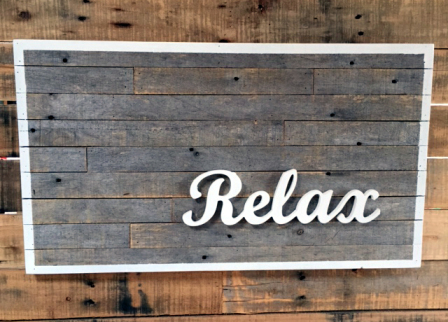 A perfectly charming addition for your living room, dining room or bedroom! Ready to hang with rope attached to back. Dimensions: Height 1215mm, width 630mm.